The Aquatica Dynamo Shower Head Series is an innovative and beautifully designed shower head with soft white mood light setting system, designed for maximum relaxation. The Dynamo is powered by an ultra-efficient micro-turbine mounted inside the shower head, which uses water flow energy, which generates electricity to power its LED lights. Aquatica’s Dynamo Heads are a cutting-edge development in the field of contemporary bathroom ware, and are available in White Matte, Black Matte or Chrome. 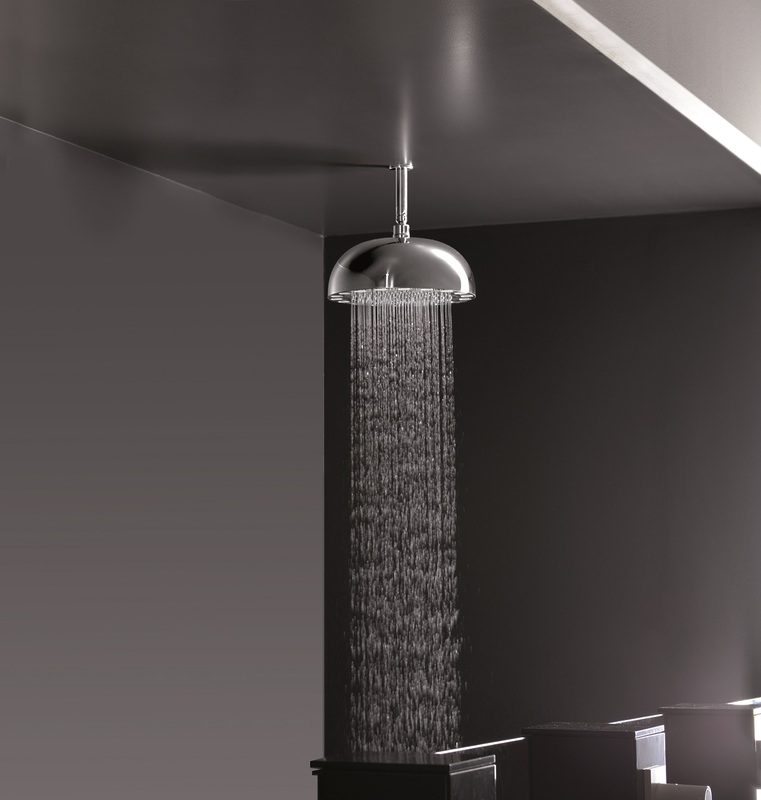 A generous natural like rain effect enhances the pleasure of the shower. The Dynamo shower-heads are powered by an ultra-efficient micro-turbine mounted inside the unit, which uses water flow energy, which generates electricity to power its LED lights. Self-powered system - a built-in micro-turbine produces 6W of electrical power from the water flow inside the shower-head, enough to power of 18 LEDs, creating an intense beam of light. 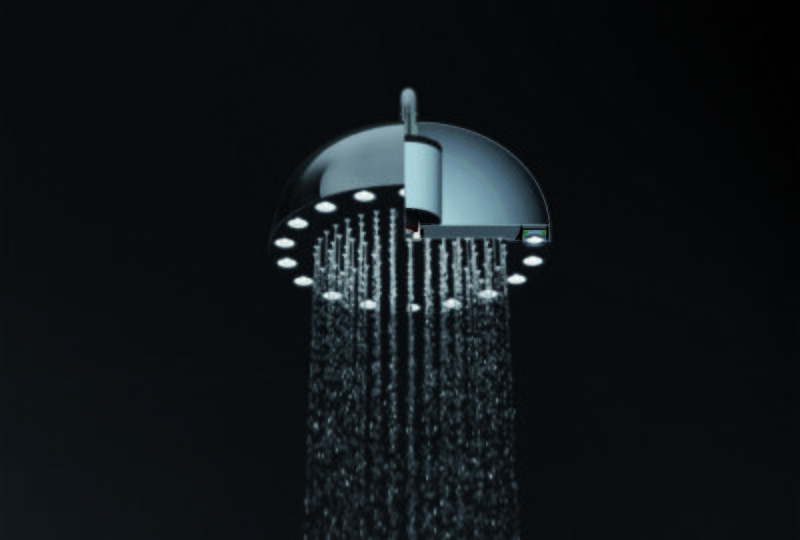 The Dynamo showerheads are available in two types of lighting – white LED lighting and MCRD Rainbow model capable of producing 7 different colors that are selectable from a simple waterproof piezoelectric remote. 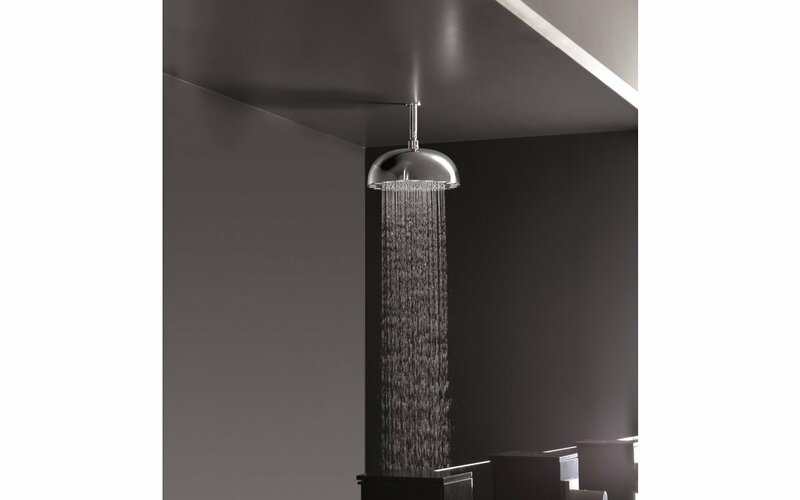 The Rainbow models offer a truly stunning show of mood setting lighting and unforgettable showering experience. Easy to install since no electrical power connection is required. 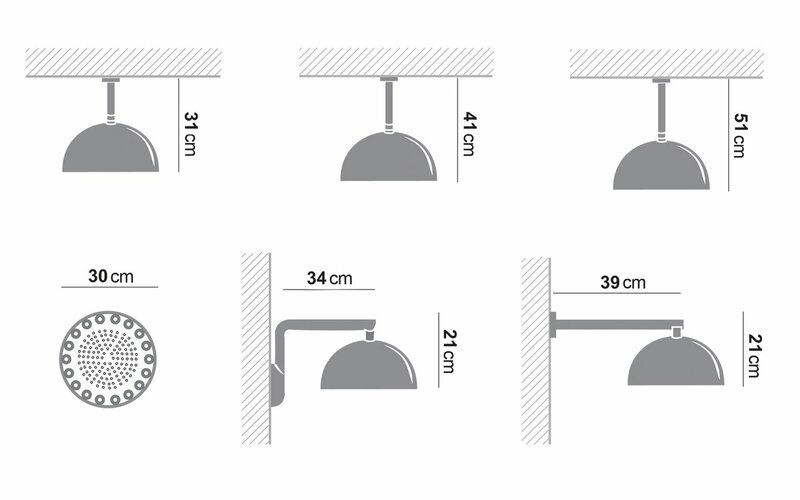 Dynamo will easily fit under any false ceiling, ceiling or wall-mounted installation scenarios. Could be easily added to most existing shower systems. 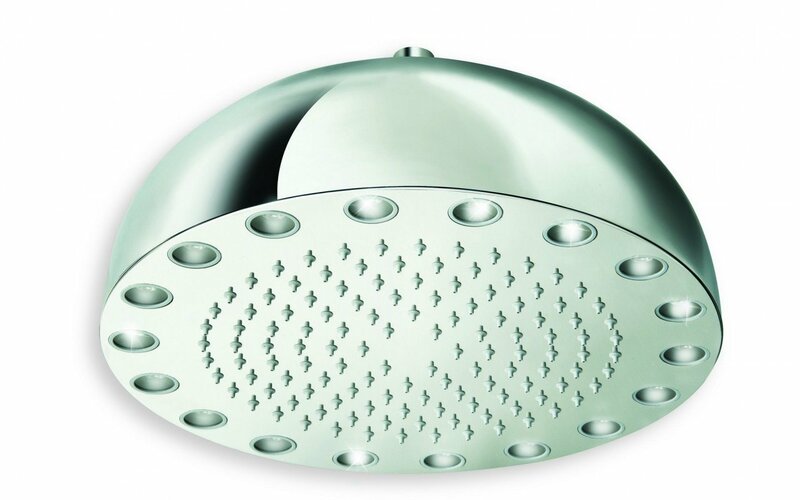 All Aquatica shower-heads are made in Italy using the best available materials. In our solid brass faucets, shower controls and shower-heads we use solely zero or ultra-low lead brass alloys. This Aquatica Ceiling Mounted Shower Arm has been constructed for the idealist who seeks elegance in design. Modern and sleek, this shower arm has a 5 year warranty and guarantees showerhead durability due to its integrated water filter, which also features a cover plate with a bracket kit and filter. Aquatica Shower Arm is designed for beauty connoisseur who wants everything to be ideal. This modern Shower Arm is perfectly suited for the Aquatica Rainbow And Dynamo Dynamic Shower Heads.